This T-Shirt will knock your block off! 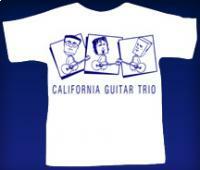 Official CGT Blockhead T-Shirt. Inspired by the CGT classic tune 'Blockhead'. Blue print on white and black print on gray available. Regularly $15.00 New Special Price Only: $10.00 Only available in small size.